When you work on the IT help desk it can feel like you hear the same things over and over and over again. This one is probably the most common – users will call to say they are locked out of the system which is no longer recognizing their password. Invariably it will be because they forgot that they changed their password a few days ago or they wil have the caps lock on. The corporate IT helpdesk isn’t the place for help installing apps on someone’s personal, non-company supported phone or troubleshooting issues with their home computer – but that doesn’t stop some people from calling to ask. Many people think that once a file is deleted it is gone forever and cannot be recovered. In most cases getting the files back is an easy fix if they’ve ended up in the recycle bin. However this doesn’t stop non-savvy users from falling into a panic and calling the help desk. Many helpdesk calls can feel like a crash course in using Microsoft Office. How to format documents in Word? How to create Excel spreadsheets? The problem is that many users confuse the existence of the help desk service with a basic training service. 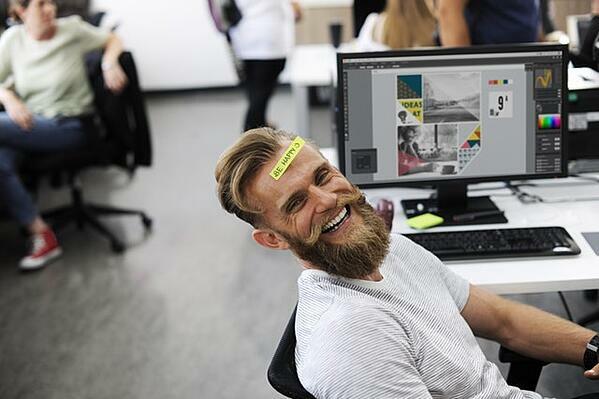 The helpdesk is happy to help resolve internet problems… when the company’s website is down or employees are having problems connecting to the outside world. However many help desk calls are about other websites being down, which of course the IT staff at your company have absolutely no control over. There’s something about system updates, the ones that are vital to keep your software patched and up-to-date, that drive many users crazy. They hate having to wait a few minutes while their system updates, and many will call the help desk to ask to stop it! If your helpdesk finds it is fielding many of the same questions over and over again, consider making improvements to your work systems to help take the pressure off your staff. This can include developing automated responses, moving towards employee self-service and using a system such as DeskAlerts to communicate IT issues to your employees. 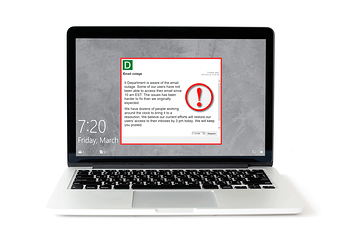 DeskAlerts is an internal communications software solution that sends messages to your employees’ desktops as a pop-up notification, so you can quickly communicate issues such as system outages and planned maintenance. This will help to reduce the volume of calls to the help desk. You can also use it to deliver education campaigns about IT literacy so eventually those annoying questions could become a thing of the past.